According to the Japanese Nikkei’s sources the iPhone 6 mockups that have flooded the blogosphere has been put together quickly and shoddily quickly using low quality materials. Although they may mirror the overall design, the mockups are missing a couple of key design elements, such as the curved glass display, which, in the genuine model would seamlessly transition into the aluminum shell. This isn’t the first time we’ve heard that the iPhone 6 will feature a curved glass display. Back in April sources speaking to the Japanese blog Mac Otakara claimed the iPhone 6 will have round corners; making the transition between the curved glass display and the rear shell material unnoticeable. The same source has also said that Apple may drop the dual-glass covered antenna design, instead going with an all-aluminum iPhone 6. Now Nikkei’s sources are saying the white lines we’ve seen on the leaked mockup will not appear on the final version, because they only serve as marks for the back panels. 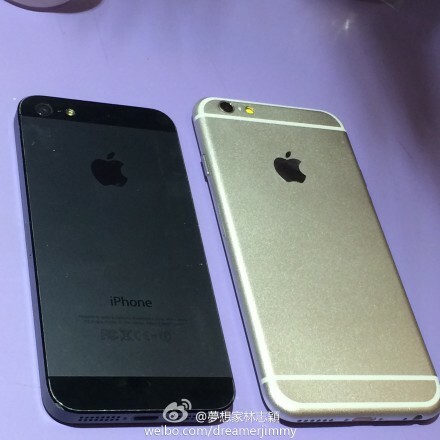 In other words, the iPhone 6’s back will resemble that of the iPhone 5s. Apple is expected to announce two new iPhone 6 models this fall —most likely in September. The 4.7-inch version is said to enter mass production in July, followed by the 5.5-inch model in August.